This is the first entry of Flashback Friday Flop, a weekly feature in which I will examine a hip-hop album from years ago that was considered a flop, either critically or commercially or both, when it was released and see if it has gotten better – or worse – over time. I’ve done this sort of thing before – regarding The Firm album back in 2012 as well as a book defending a few artists and projects that I feel were overlooked, but these projects will all be new territory for me. It’s clear that Dr. Dre saw what was coming. He left Death Row Records, the label he co-founded, with no equipment, no masters, no artists, nothing. That was the price he paid to be allowed to leave his own company. And he did it willingly. Among the people he left behind was his star protégé, Snoop Doggy Dogg, who had just been acquitted of murder and was prepping his long-awaited and highly-anticipated second album. John Lennon & Paul McCartney were an incredible songwriting team. They wrote virtually all of The Beatles’ music and they even gave away songs to other artists (including the Rolling Stones). In this 1966 BBC interview from McCartney’s new home, the two talk about their partnership. Following up on yesterday’s post on Room 237, here are some photos from Stanley Kubrick’s copy of Stephen King’s novel, complete with his notes and ideas. Pulp Fiction is one of those films where it’s hard to imagine anyone portraying the characters other than the actors that were ultimately in the film. However, this list of Tarantino’s dream actors for the cast is great. For me, the most interesting case is Lance, the drug dealer in a robe, who was ultimately played by Eric Stoltz (the original Marty McFly). Stoltz was great, but seeing John Cusack in that role would’ve been incredible! Also, I think Michael Keaton would’ve brought an interesting take to the role. As far as Vincent, Tarantino wrote it for Michael Madsen, who portrayed Vic Vega in Reservoir Dogs. If Madsen had been Vince, how does that affect the Tarantino universe? Are Vic and Vincent (who are now said to have been brothers) the same person? Are they twins? Movie What Ifs fascinate me and it’s pretty amazing to see what Pulp Fiction could have been. The mid-’90s Sonics never won the chip, but in fairness, they were victims of some horrible luck. In 1994, they lost to a really good Denver Nuggets team in the first occurrence of an 8-seed beating a 1-seed and then ran threw the West two years later only to run into MJ’s ’96 Bulls. The squad had Gary Payton and some other decent players including Detlef Schrempf and an aging Sam Perkins, but their MVP was undoubtedly Shawn Kemp. Kemp was more than a beast. He was big but agile. Powerful but quick. Explosive but serene. And he made posters out of plenty of people. It was unsustainable, his decline was inevitable. 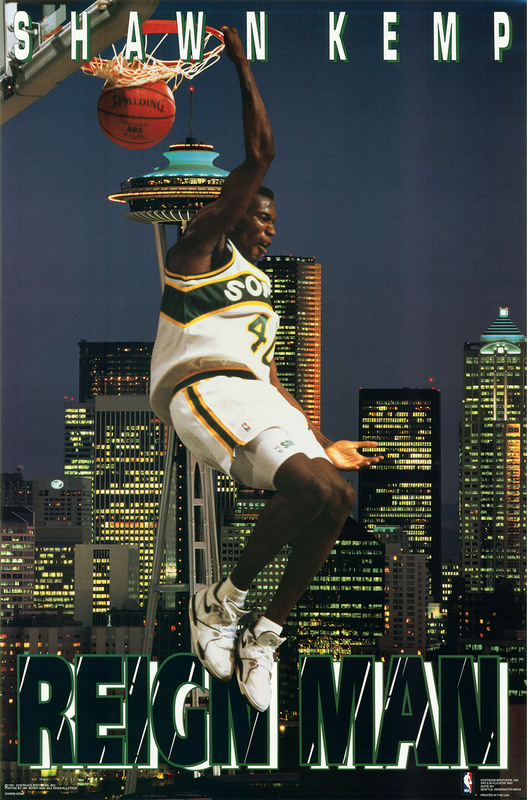 But for a few brief years, Shawn Kemp terrorized the NBA. So take the next ten minutes and fifty seconds to bask in glory of The Rain Man. Jay Electronica’s “Exhibit C” was a masterpiece, “a magical moment—one he nor any other rapper in the past five years could top,” but it came out in December, 2009. We’re approaching the sixth anniversary of its release and all Jay has given us in the intervening years are some (admittedly pretty great) guest appearances and songs. As a favor – one that you did not ask for – I’ve compiled a list of twenty songs that I think casual hip-hop fans should know.